Eric Carle brings the exciting world of insects to a new level. 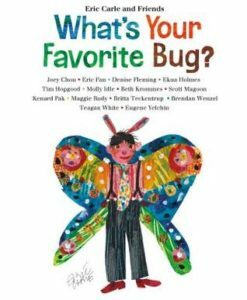 Some of his children’s book illustrator friends have drawn and listed their favorite bugs and told why they love them through poetry, stories and illustrations. Thanks for the review. Looks fun.